Tina ANTHONY [Parents] was born on 23 Apr 1985. Rakayleigh was born in 2004. Juston MC BRIDE [Parents]. Juston married Ruth. Ruth. Ruth married Juston MC BRIDE. Julius G. ODOM was born in Jun 1856 in , , Arkansas. He died in 1917 in Stonewall, Pontotoc, Oklahoma. Julius married Emeline DAVIS in 1882. Emeline DAVIS was born in Oct 1867 in , , Arkansas. She died in 1917 in Stonewall, Pontotoc, Oklahoma. Emeline married Julius G. ODOM in 1882. John William ODOM was born on 3 May 1883 in , , Arkansas. He died on 18 Dec 1939. Nancy J. ODOM was born in Jan 1885 in , , Arkansas. M iii Thomas Jefferson ODOM was born on 28 Dec 1886. F iv Susanna D. ODOM was born on 22 Dec 1889. She died on 21 Oct 1967. James F. "Jim" ODOM was born in Sep 1891 in , , Arkansas. Edward ODOM was born in Jul 1892 in , , Arkansas. F vii Lelia Jan ODOM was born on 9 Jan 1898. She died on 8 Mar 1971. F viii Nellie ODOM was born on 24 Oct 1899. She died on 16 Dec 1899. Glover J. ODOM was born on 15 Mar 1900 in , , Oklahoma. He died on 7 Mar 1962 in Stonewall, Pontotoc, Oklahoma. Samuel ODOM was born on 4 Jul 1902 in , , Oklahoma. He died on 27 Nov 1918 in Stonewall, Pontotoc, Oklahoma. Richard D. ODOM was born on 5 Jan 1907 in , , Oklahoma. He died on 5 Dec 1918 in Stonewall, Pontotoc, Oklahoma. Derrick "Dink" ODOM was born on 5 Jan 1907 in , , Oklahoma. He died on 5 Sep 1995 in Stonewall, Pontotoc, Oklahoma. 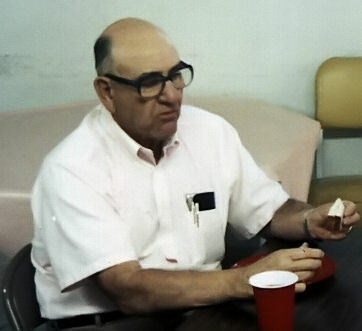 Virgil L. ODOM was born on 3 Feb 1909 in , , Oklahoma. He died on 8 Dec 1918 in Stonewall, Pontotoc, Oklahoma. George Washington MOORE [Parents] was born on 2 Nov 1862 in Marion District, , South Carolina. He died on 2 Jun 1925 in Florence, Florence, South Carolina. George married Dora E. Lee TAYLOR in 1884 in , , South Carolina. Dora E. Lee TAYLOR [Parents] was born on 2 Jan 1870 in Marion District, , South Carolina. She died on 2 Jan 1932 in , Florence, South Carolina. Dora married George Washington MOORE in 1884 in , , South Carolina. M i Julius Washington MOORE was born on 7 Oct 1884. He died on 18 May 1954. M ii Jessie Lee MOORE was born on 24 May 1887. He died on 11 Apr 1951. M iii Fred Jerome MOORE was born on 28 Aug 1889. He died on 5 Aug 1964. M iv Rufus Norman MOORE was born on 19 Sep 1892. He died in Feb 1969. F v Clara Mae MOORE was born on 7 May 1896. She died on 17 Aug 1969. F vi Sarah Ethel MOORE was born on 24 Apr 1899. She died on 25 Dec 1993. F vii Pearl Lebertha MOORE was born on 17 Apr 1902. She died on 13 Feb 1938. M viii George Raymond MOORE was born on 18 Feb 1905. He died on 30 Jun 1977. Joshua Thomas WEATHERFORD [Parents] was born on 30 Sep 1856 in Darlington, Darlington, South Carolina. He died on 14 Dec 1940 in Cains, Florence, South Carolina. He was buried in Bethel Freewill Baptish Church Cemetery, Hyman, Florence, SC. Joshua married Mary Ellen Caroline JONES in 1889 in , Williamsburg, South Carolina. Mary Ellen Caroline JONES [Parents] was born in May 1866 in , Marion, South Carolina. She died on 6 Jan 1935 in , Williamsburg, South Carolina. She was buried in Bethel Freewill Baptish Church Cemetery, Hyman, Florence, SC. Mary married Joshua Thomas WEATHERFORD in 1889 in , Williamsburg, South Carolina. M i Melvin C. WEATHERFORD was born on 6 Nov 1890. He died on 15 Sep 1965. M ii Lonnie Lyde WEATHERFORD "Sr" was born on 13 May 1892. He died on 29 Nov 1972 from Diabetes mellitus. M iii Bealer Lyde WEATHERFORD was born on 19 Feb 1894. He died on 22 Sep 1952. Oliver C. WEATHERFORD was born on 23 Oct 1894 in , , South Carolina. He died on 25 Sep 1944 in , Cecil, Maryland. Mae WEATHERFORD was born on 26 Oct 1896 in , Florence, South Carolina. She died on 1 Feb 1987 in Florence, Florence, South Carolina. She was buried in Tabernacle United Methodist Cemetery, Florence, South Carolina. 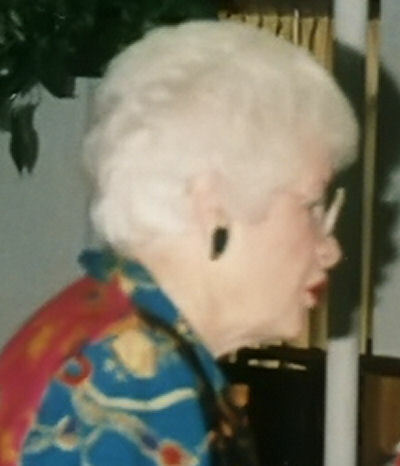 Bertha Alma WEATHERFORD was born in Feb 1898 in , , South Carolina. She died in , , South Carolina. F vii Lennie Edith WEATHERFORD was born on 14 Aug 1900. She died on 10 Apr 1937. Roland M. WEATHERFORD was born on 21 Oct 1904 in , Florence, South Carolina. He died on 30 Apr 1981 in , , South Carolina. John Leech JONES [Parents] was born on 5 Dec 1825 in , Marion, South Carolina. He died on 26 Jan 1871 in , Marion, South Carolina. John married Nancy Ann Frances MOORE in 1863. Nancy Ann Frances MOORE [Parents] was born in 1833 in Mars Bluff, Marlon, South Carolina. She died in 1900 in Mars Bluff, Marlon, South Carolina. Nancy married John Leech JONES in 1863. F i Mary Ellen Caroline JONES was born in May 1866. She died on 6 Jan 1935. Melvin C. WEATHERFORD [Parents] was born on 6 Nov 1890 in , Florence, South Carolina. He died on 15 Sep 1965 in , Florence, South Carolina. Melvin married Clara Mae MOORE on 17 Dec 1916 in Tabernacle Methodist Church. Clara Mae MOORE [Parents] was born on 7 May 1896 in Effingham, Florence, South Carolina. She died on 17 Aug 1969 in Florence, Florence, South Carolina. Clara married Melvin C. WEATHERFORD on 17 Dec 1916 in Tabernacle Methodist Church. F i Mattie Lucille WEATHERFORD was born on 2 Nov 1917. F ii Arrow Vee WEATHERFORD was born on 5 Jan 1919. She died in 1997. F iii Lila Mae WEATHERFORD was born on 26 Nov 1921. M iv Rufus Norman WEATHERFORD was born on 10 May 1924. He died on 28 Jul 1999. M v George Washington WEATHERFORD was born on 5 Aug 1926. He died on 18 Aug 1988. M vi Allison Marquette WEATHERFORD was born on 7 Oct 1929. He died on 14 Dec 1995. Melvin Roy WEATHERFORD was born on 25 Oct 1934 in Evergreen, Effingham, Florence, South Carolina. Willie McLaurin COLLINS was born on 26 Sep 1894 in Kingsburg, Florence, South Carolina. He died on 26 Sep 1946 in , Florence, South Carolina. Willie married Sarah Ethel MOORE. Sarah Ethel MOORE [Parents] was born on 24 Apr 1899 in Effington, Florence, South Carolina. She died on 25 Dec 1993 in Florence, Florence, South Carolina. Sarah married Willie McLaurin COLLINS. George Washington MOORE was born about 1827 in , , South Carolina. He died on 1 Mar 1865 in Little Rock, Marion, South Carolina. George married Sarah Ann MC LELLAND on 10 Mar 1852 in Marion, Marion, South Carolina. Sarah Ann MC LELLAND [Parents] was born on 19 Aug 1832 in Marion, Marion, South Carolina. She died on 12 Feb 1906 in Effington, Florence, South Carolina. Sarah married George Washington MOORE on 10 Mar 1852 in Marion, Marion, South Carolina. Nancy Louise MOORE was born on 4 May 1854 in Little Rock, Marion, South Carolina. She died on 2 Apr 1925 in Cary, Wake, North Carolina. Mary Jane MOORE was born in Aug 1856 in , , South Carolina. She died on 15 Jan 1920 in , Florence, South Carolina. John Archie MOORE was born on 1 Mar 1859 in Little Rock, Marion, South Carolina. He died on 17 Dec 1919. M iv George Washington MOORE was born on 2 Nov 1862. He died on 2 Jun 1925. Ida C. MOORE was born about 1866 in , , South Carolina. William E. TAYLOR. William married Martha Anne TAYLOR. Martha Anne TAYLOR. Martha married William E. TAYLOR. F i Dora E. Lee TAYLOR was born on 2 Jan 1870. She died on 2 Jan 1932.